Fort Canning is a microcosm of Singapore being witness to and reflecting over 700 years of Singapore’s history. From the heyday of the Malay kings of “Temasek” until British arrival in 1819, the hill has been the site for the seat of power. It’s been instrumental in the island’s trading economy; it has had military aspiration and witnessed some of the most dramatic events of Singapore’s past. 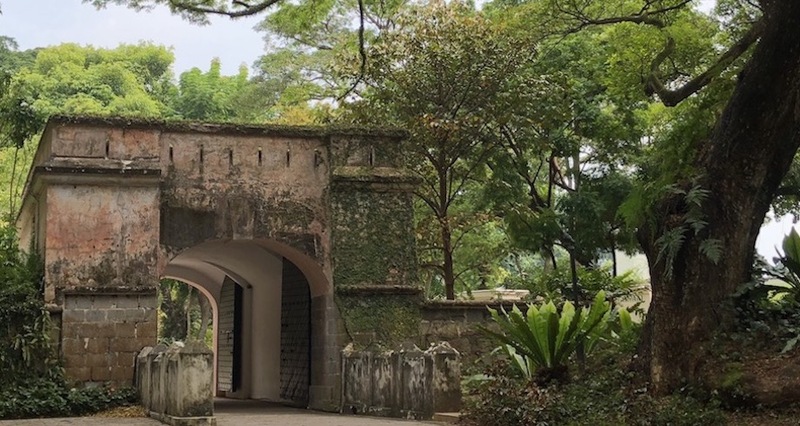 Nowadays an urban park - a veritable green island in the heart of the city, Fort Canning has many stories to tell. Starting at the foot of the Hill, we will first explore some of our island's oldest landmarks such as the Armenian Church, Central Fire Station and Masonic Lodge. We will then climb up through the European burial grounds to hear the stories of some of Singapore’s notable 19th century personalities. Following which, we will wander through the lush oasis of Singapore 's first Botanic Gardens with its fascinating fig trees and then be carried away by stories of ancient springs and bathing princesses while visiting the shrine of the Malay Kings. Our final stop on the Hill will be to learn about the dramatic events which took place in its underground bunker in the days leading up to the Japanese invasion in 1942. We will finish our tour in the cooling air of the nearby National Museum of Singapore, where we will learn more about the history and architecture of Singapore's oldest museum.